Gender stereotypes in fairy tales are Grimm. This fairy tale won't have a happy ending if men think their role is to swoop in and save the day. Who would have thought fairy tales could be making national news headlines in 2017? After all, they are stories; stories we have been happily telling our kids for generations. It has been reported that traditional fairy tales could be at risk in public schools under a Victorian government plan to address family violence. This doesn't mean they would be removed altogether but rather that we would to urge our children to analyse men and women and their roles in fairy tale classics. "A teaching aid in the Respectful Relationship program wants pupils to analyse men and women in classics like Cinderella, Snow White and Rapunzel and compare them to modern stories challenging gender norms. It argues that the traditional fairytales often serve to reinforce gender norms and to cause 'a sense of entitlement in boys and lower self-esteem in girls'. Children will be encouraged to act as 'fairytale detectives', to 'describe and compare the roles commonly given to male and female characters' and to 'identify gendered messages fairytales give readers'. " 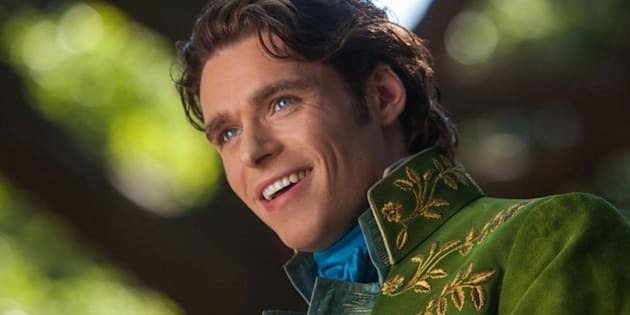 No matter what you think about fairy tales and their appropriateness for children, you can't really refute the claim that they perpetuate gender stereotypes. Can you think of any classic fairy tale (and I am not talking Disney) where it's not a woman who needs to be saved by a charming prince? Can you think of any classic fairy tale where a man shows vulnerability and sensitivity? Not all women need to be saved, not all men are heroes, and certainly not all princes are charming. If we really want to challenge the stereotype of women as defenseless and submissive, and of men as all-powerful saviours, we have to get rid of, or at least challenge, the things that consolidate that typecast. As to the idea that we all listened to fairy tales and we grew up okay -- remember that at least one woman is killed in Australia every week by her partner or former partner. That's not okay. Even as I write this I can hear the chorus of people who will be rallying against a 'nanny state', who will be saying that they are just fictional stories and everybody knows they're not true. But I know that we internalise the stories we hear, and I know that millions of educated and smart people have the erroneous belief that somehow men are protectors and women are vulnerable. I think about these things as a woman, but more importantly I think about them as the mother of a son. I want my son to know that he can be a caring, sensitive person. That he can be emotional and sympathetic, sometimes he can be needy and sometimes he can be the one who is helping someone in need. He can be a hero and a saviour on some occasions, but he can also express his vulnerability on others. I would want the same for my daughter if I had one. We are not one-dimensional people. There are times in all of our lives where we all need to take on different roles. And this is not just about changing the perception of women being seen as needing to be saved or rescued by a dapper man on a white steed. This is also about letting our men know they don't always have to arrive on the scene on that white horse. There is a growing impetus for women to be seen as the assertive, independent, free-thinking people they are and I applaud and support this movement. But, at the same time, I want my son to know that he, too, does not need to live up to the expectation of fairy tales. We internalise the stories we hear, and millions of educated and smart people have the erroneous belief that somehow men are protectors and women are vulnerable. Women should not be encouraged to pursue the role of a princess any more than men should be encouraged to pursue the role of the prince. We encourage women to be scientists and CEOs, to fulfil roles which are heavily dominated by males. We call our little girls non-gendered names so that they have the same opportunities as men, at least when they are filling in forms. But isn't it just as valuable to tell our boys that they don't have to follow the outdated stereotype of what men should be doing? That they can pursue caring and nurturing professions, that they can be nurses or social workers or other roles currently heavily dominated by females? That having a name with a feminine characteristic does not determine their futures? We all want to believe in fairy tales because of the wonder and magic implicit in the happy-ever-after ending. But that fairy tale doesn't end happily when we force people into molds that don't allow them to expand or overflow.